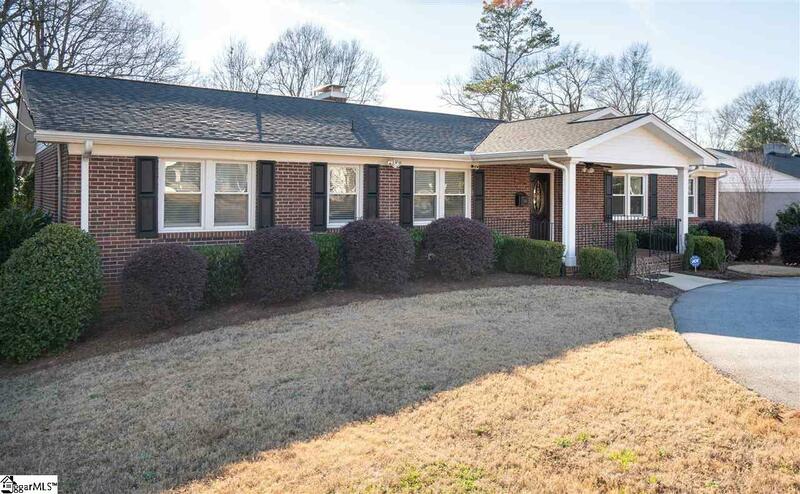 Wonderful brick ranch plus basement in highly desired Augusta Circle School District! 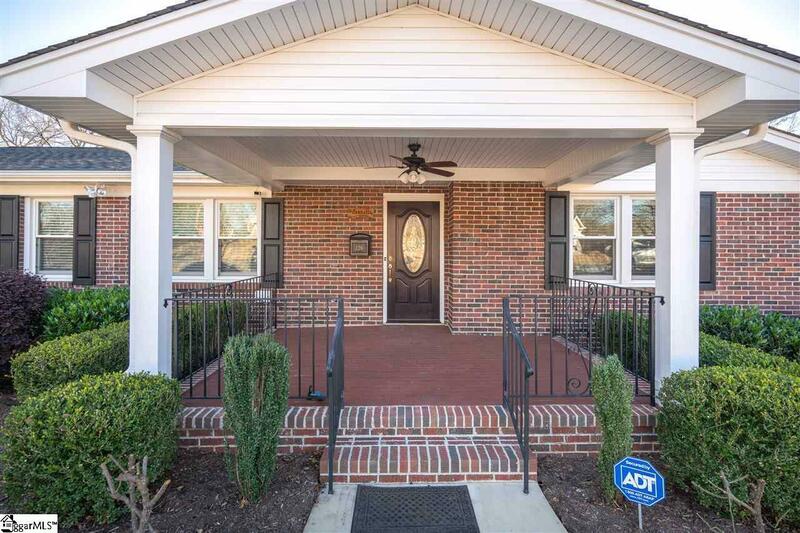 This 4 bedroom, 3 full and 1 half bath home has been recently updated. 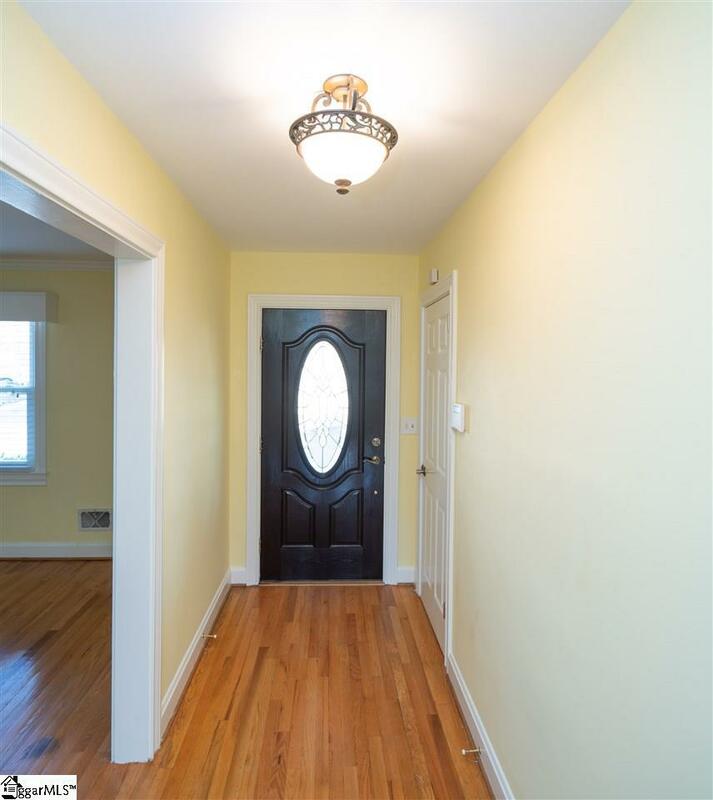 Beautiful hardwood floors throughout main level. Spacious formal living and dining room. Eat-in kitchen with granite countertops, custom cabinets and stainless-steel Kitchen-aid appliances leads into large den with stacked stone gas fireplace and built-ins. Master suite on main and two additional bedrooms. Heated and cooled full basement with private entrance has great potential for in-law or au pair suite. Complete with bedroom, full bath, living room with gas fireplace and full kitchen equipped with granite countertops, custom cabinets and stainless-steel Kitchen-aid appliances. Loads of storage space or workshop, separate detached 2 car garage and fenced yard. 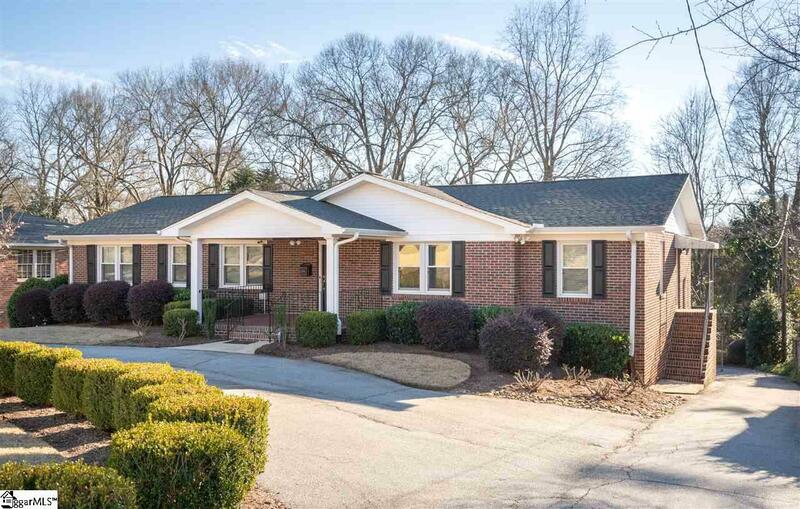 Minutes to downtown Greenville. Schedule your showing today! Listing provided courtesy of Sharon Wilson of Wilson Associates.